Fertile, MN (January 10, 2017) -January 6-8th was the first weekend coming off the New Year, and it was a busy one for Christian Brothers Racing. The teams snocross riders competed at a triple-header and the cross-country team claimed a handful of wins at its season opener. Adding to the hectic weekend, frigid temperatures had a grip on the area, and CBR riders had to battle the cold as well as the competition. Located near the small Northern Minnesota town of Gonvick, Pine Lake is the traditional opener on the cross-country schedule. 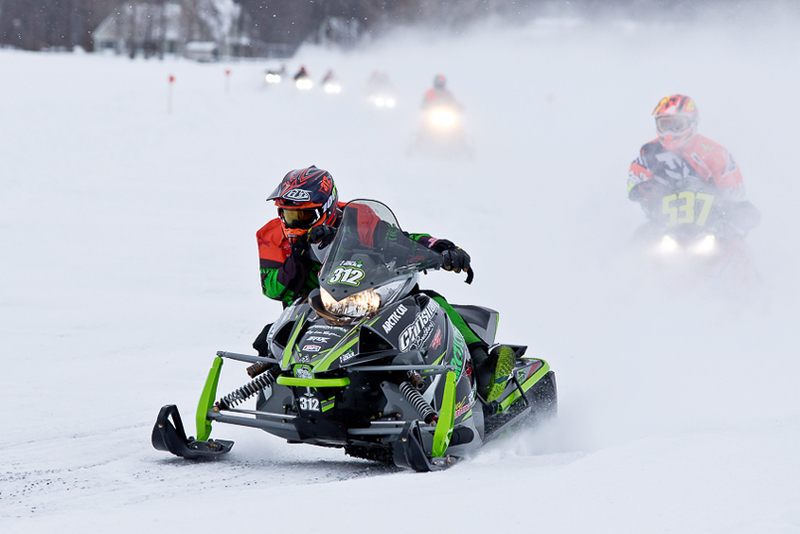 Held entirely on the surface of the lake, this year's event featured an 11-mile ice-lemans style course with a mix of right and left-hand turns as well as long straightaways that reward horsepower and spot-on machine tuning. 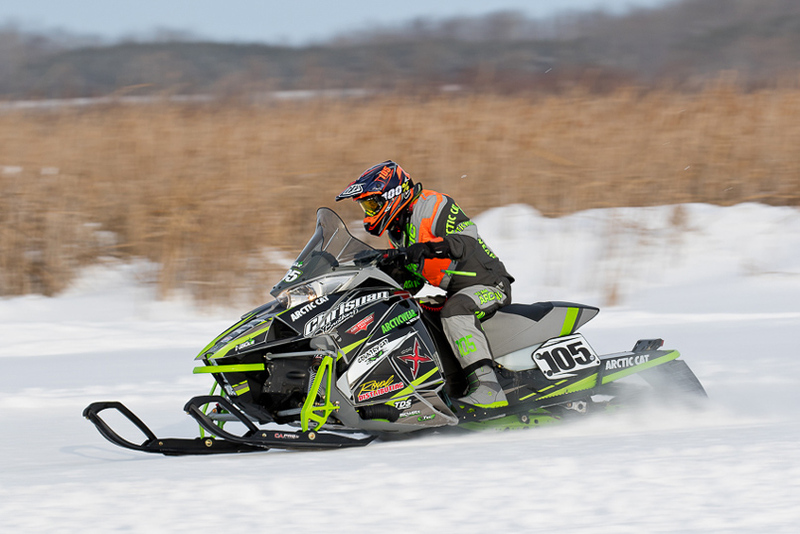 Reigning USXC Pro 600 points champion Zach Herfindahl (AMG Peterbilt/doc/Arctic Cat)started his season the way he left off last season, winning Pro 600 and besting the second place rider by nearly 20-seconds. Herfindahl's teammate Ryan Trout (Country Cat/Royal Distributing/Arctic Cat)backed him up with a win in the Semi-Pro 600 class, topping the rest of the field by nearly 33-seconds. Herfindahl took 2nd in the shorter Pro Open race and Trout took the win in the I-500 class. "We didn't have to do a lot to my sled, we had a great setup right off the bat," said Trout. "I didn't get a good start in the Semi-Pro 600 final but I passed three riders right away and got out front, then I held the lead the rest of the race." 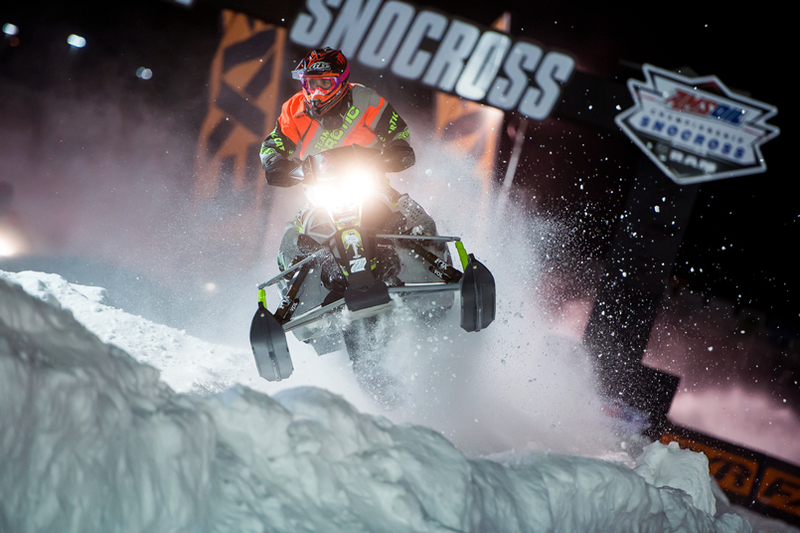 Farther south, snocross riders Logan Christian and Jacob Yurk lined up to compete at what, because of the postponed Duluth race rescheduled for this weekend, was a triple-header event at Canterbury Park in Shakopee, Minnesota. The team was met with the longest and most technical track it had seen since last season. The track, combined with cold temperatures, snow dust and hard ice edges made it a challenging weekend. 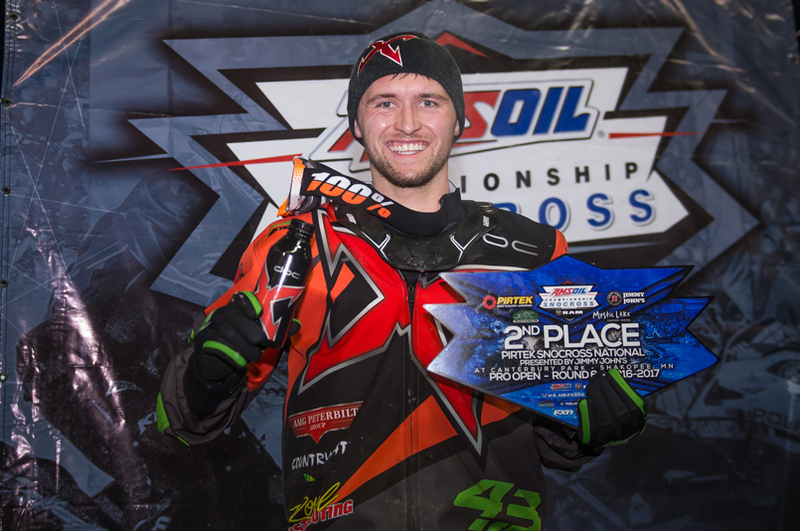 Christian's (doc/AMG Peterbilt/Arctic Cat) bright moment came in Saturday night's Pro Open final when he got a massive holeshot and took the lead. Christian kept distance between himself and the field until the halfway point when he dropped back to the second spot. By that point the lead riders had outrun the field and Christian secured a 2nd place finish, his first podium of the season. Friday Christian finished 7th and Sunday 10th. Pro Lite rider JacobYurk (Country Cat/Royal Distributing/Arctic Cat)went 1st and 5th in Friday's qualifying, then in thefinalhe landed a jump and tweaked his knee. 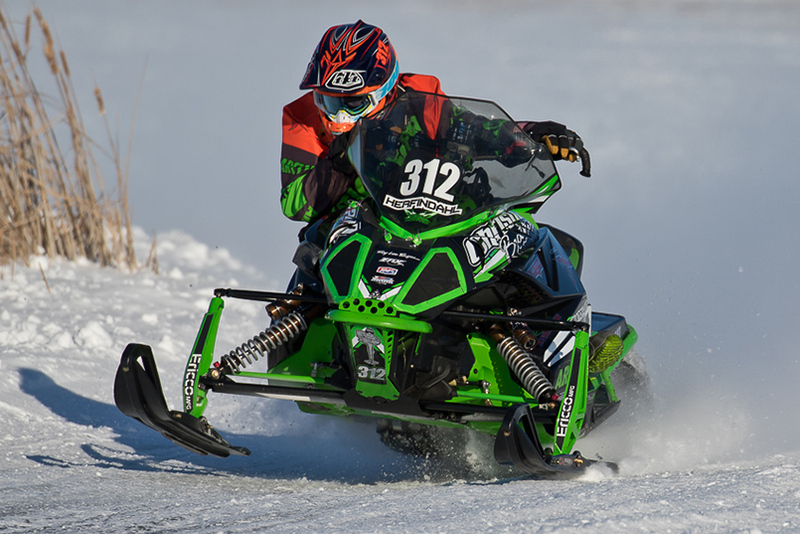 "The track was a ton of fun and my Arctic Cat snowmobile was running great. Things were coming together for us fast," said Yurk. "Then I landed a jump in the final, I felt a pop in my knee followed by a lot of pain. We'll see what the MRI says." 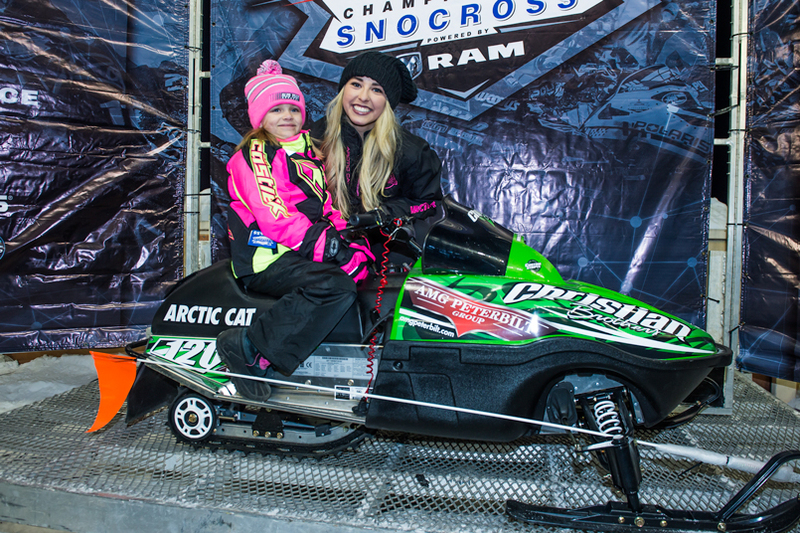 Shakopee was also the scene of the third of eight Arctic Cat ZR120 snowmobile giveaways sponsored by Christian Brothers Racing and Arctic Cat. Sophie Mudewas the lucky little winner and she couldn't wait to get it home and ride. Next up for Christian Brothers Racing cross-country team is the Detroit Lakes J&K Marine Beach Bar 200, January 14-15, in Detroit Lakes, Minnesota. 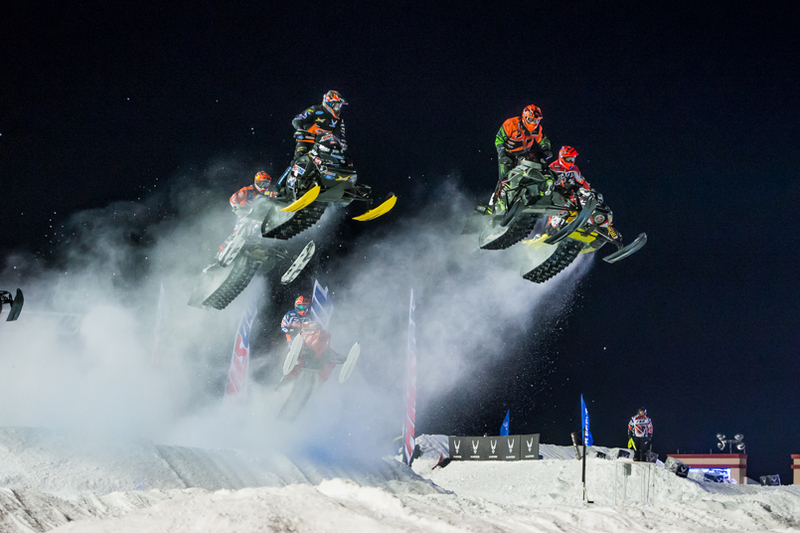 Next up for Christian Brothers Racing snocross team is the U.S. Air Force Deadwood Snocross, January 20-21, in Deadwood, South Dakota. Be sure to check out Episode 1 & 2 of The Renegade Series with Logan Christian.